HOUSTON – Enterprise Holdings, the world’s largest car rental company, which owns the Enterprise, Alamo and National brands, announced approximately 3,000 of its vehicles destroyed or lost in the Hurricane Harvey flooding. The firm is rebooting, having already transported more than 4,000 rental cars and trucks into the Southeast Texas region, and anticipates bringing in 17,000 total before the end of the month to assist with disaster recovery and hurricane clean-up efforts. “After a catastrophic event like Hurricane Harvey, we immediately focus on our neighbors and community businesses as well as insurance companies and relief agencies, plus critical government, insurance and utility personnel,” said Karl Koch, General Manager and Vice President in Houston for Enterprise. The firm has open one of its Enterprise Mobile Emergency Response facilities at 4665 N. Braeswood in the Meyerland area. The existing Enterprise location there, on the banks of Brays Bayou at Loop 610, is located in an area that suffered flooding when the hurricane hit in late August. 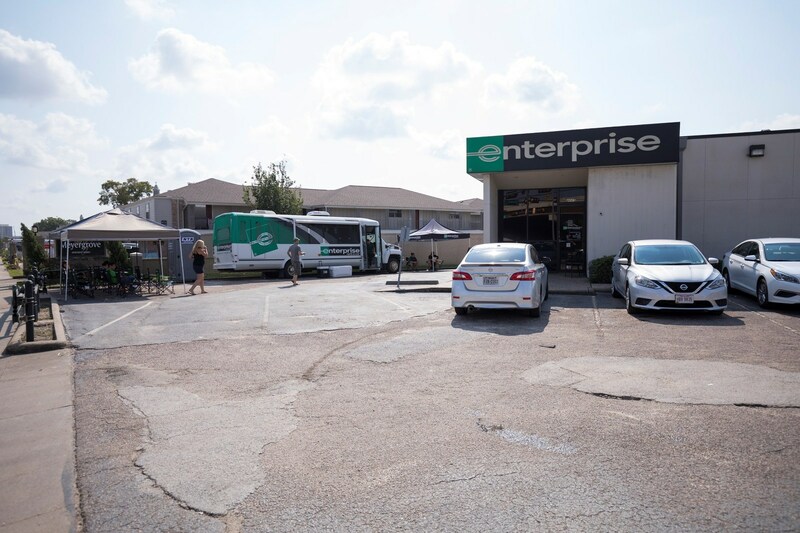 Initially, Hurricane Harvey forced Enterprise Holdings to close more than half of its 185 neighborhood and airport car rental locations in the Houston area, with approximately 3,000 vehicles destroyed or lost in the flooding. However, the company has since reopened most of its locations. Enterprise, based in St. Louis, had more than $20.9 billion in revenue and owned nearly 1.9 million vehicles throughout the world in its fiscal year 2016.